Zow Miller and his yellow Yarra folder. 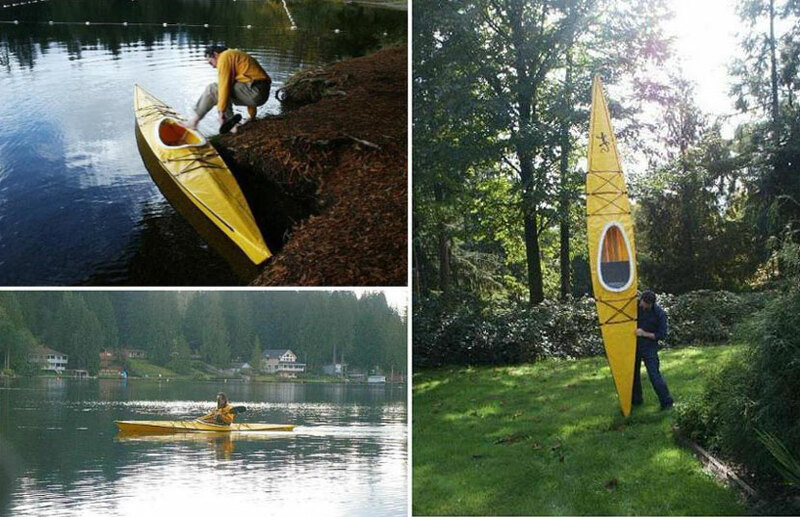 The Yarra is a small 14.5′ X 24″ touring kayak. It has 4 tube sections per stringer and a compact folded size. The Yarra LC open cockpit (washboard coaming) version can be built if more room is required for entry / exit and gear access.